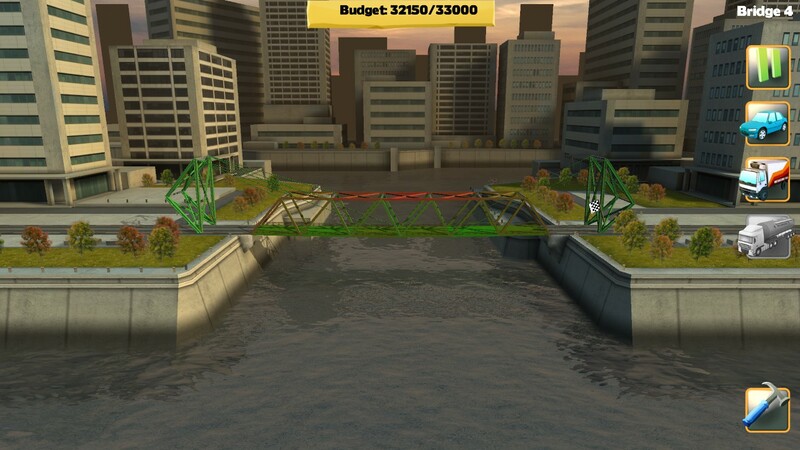 This week, Bridge Constructor is available for an even greater discount–33% off! Please note that the review below is for the PC version, and may not reflect the content/quality found in other editions. This is Jack Jackson with Biff Biffson of Channel 8 Architecture News–what do you have for us Biff? 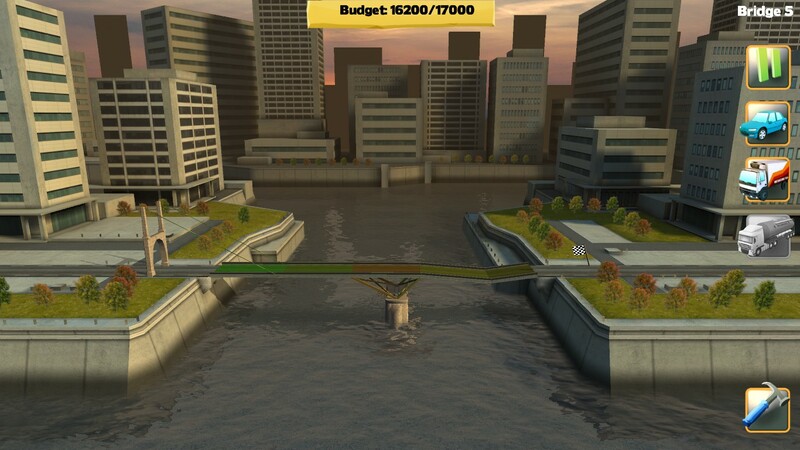 Well Jack, today is the official opening of the Video Games and the Bible Inaugural Bridge, and I must say, its creator certainly went with an…INTERESTING design. 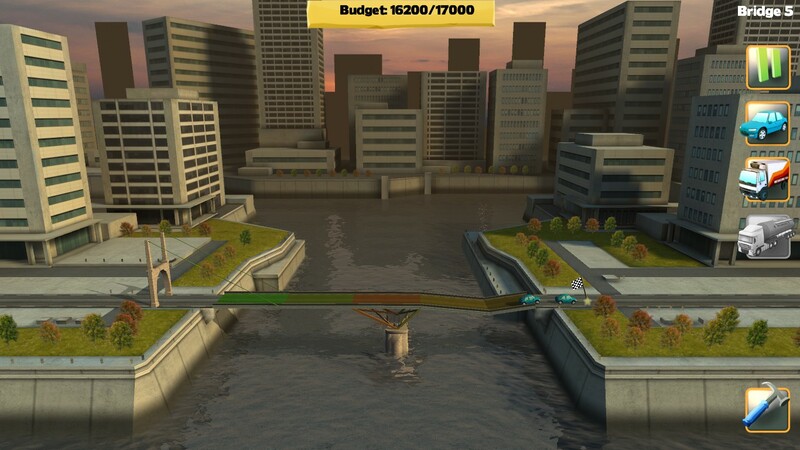 Is that a skateboard ramp? is it supposed to be moving? 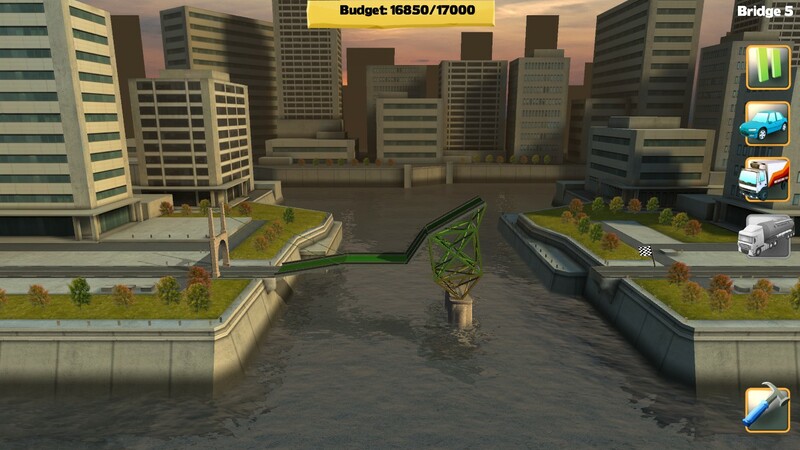 I hear that the Bridge Constructor has gone back to the drawing board. That they have, Jack. This time, they managed to provide even LESS support to essential sections. That looked pretty bad, Biff. 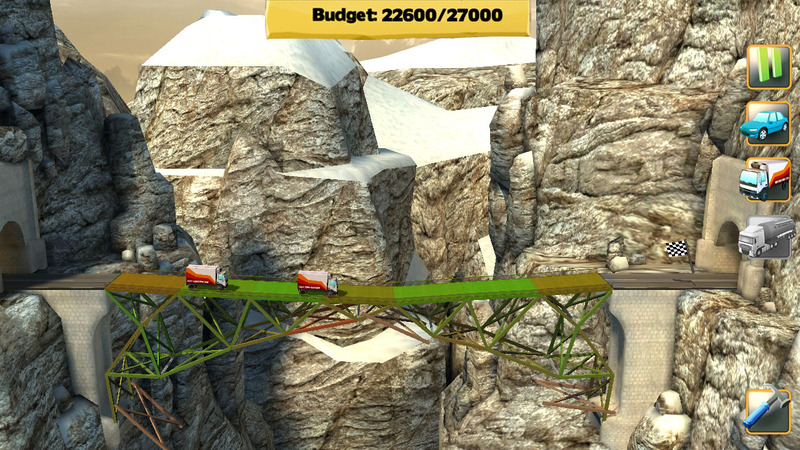 Yes, but now the Bridge Constructor has come up with a sure-fire solution. 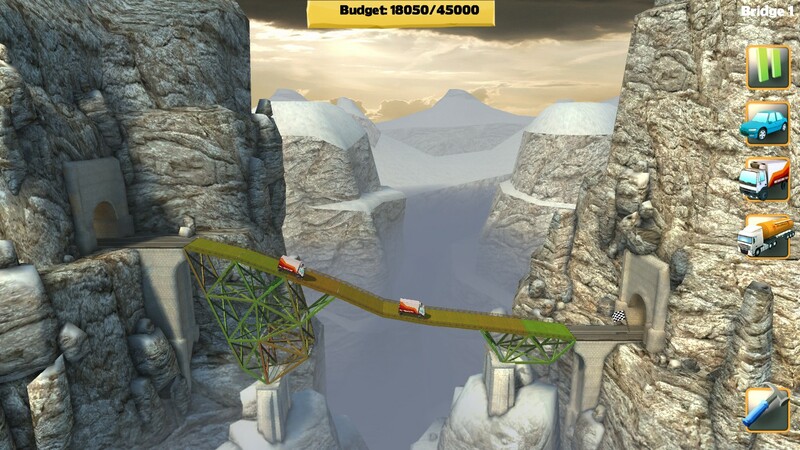 Good news Jack–the first car has successfully crossed Video Games and the Bible Inaugural Bridge! That’s great, Biff! What about trucks? City officials do not recommend using trucks at this time. 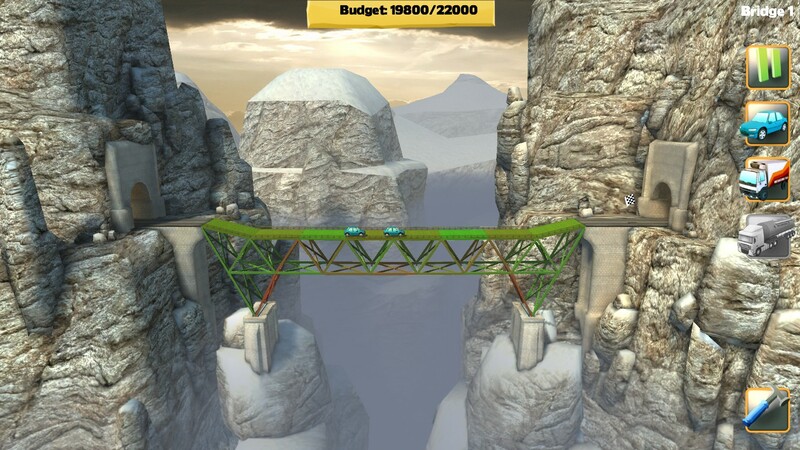 Using a variety of materials (Concrete, Wood, Cable and Steel), players attempt to create the strongest bridge possible within a certain budget. Will yours be able to handle a tanker? Your goal is relatively easy, but it soon feels laughably hard. Only when you begin to adapt from stage to stage–throwing away old building techniques and thinking “outside the box”–will you succeed. 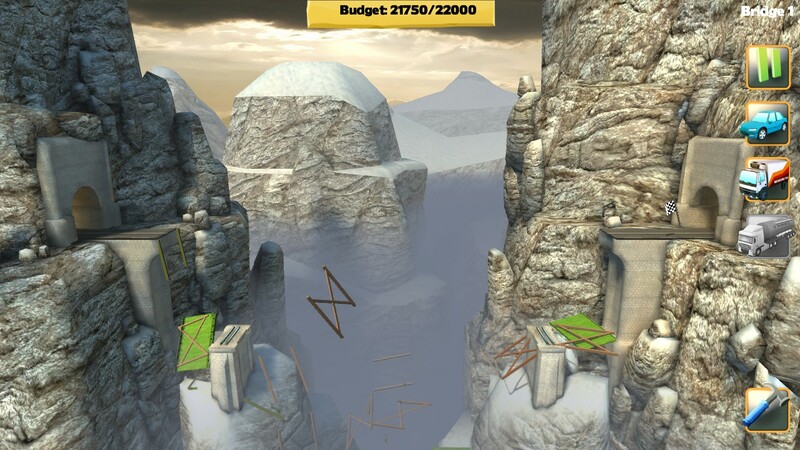 A possible solution to the previously failed level. 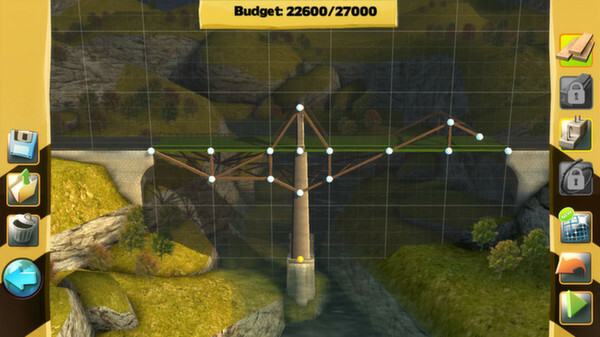 Players build bridges across 64 levels in 6 diverse settings. The actual process of building is made simple with an intuitive interface. 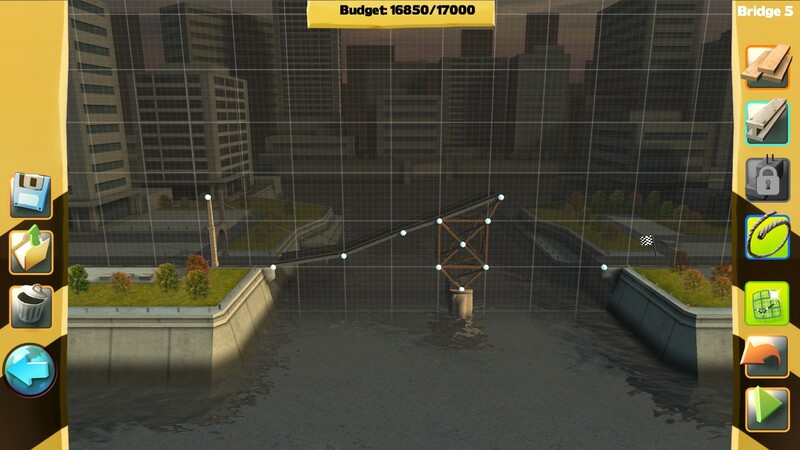 Bridge Constructor even uses color-coded sections to show the most stressed areas of your bridge. 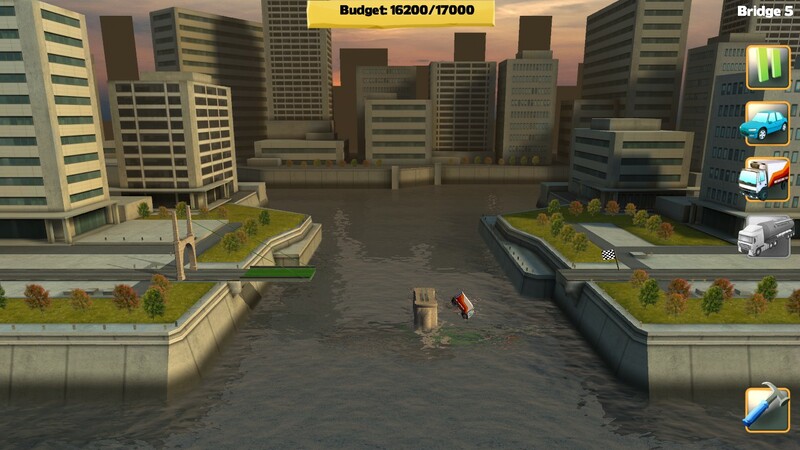 The clear and simple building mode. 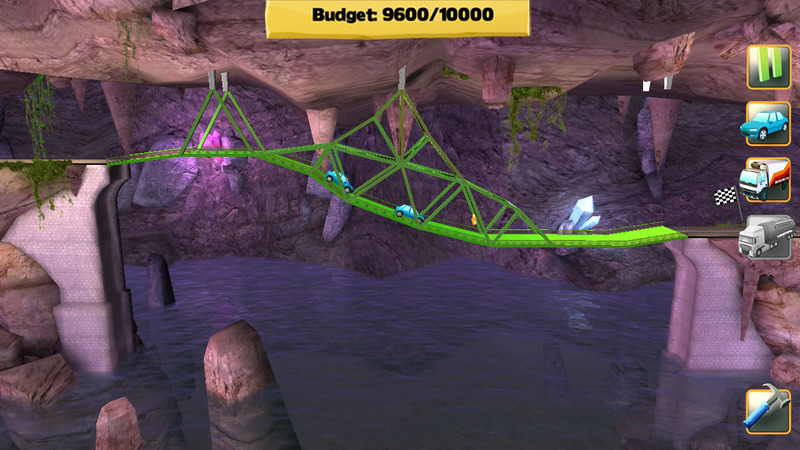 The PC edition also includes the SlopeMania DLC (purchased separately on mobile) at no extra charge. 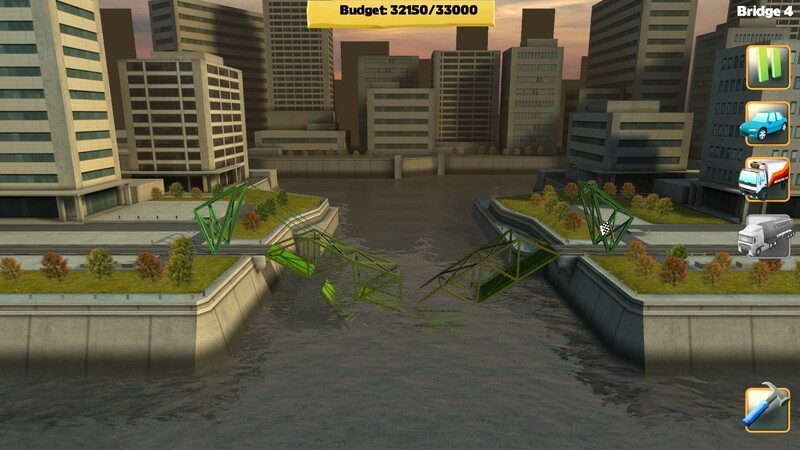 Bridge Constructor is an excellent entry in a relatively crowded genre, focusing on creativity and unexpected humor. 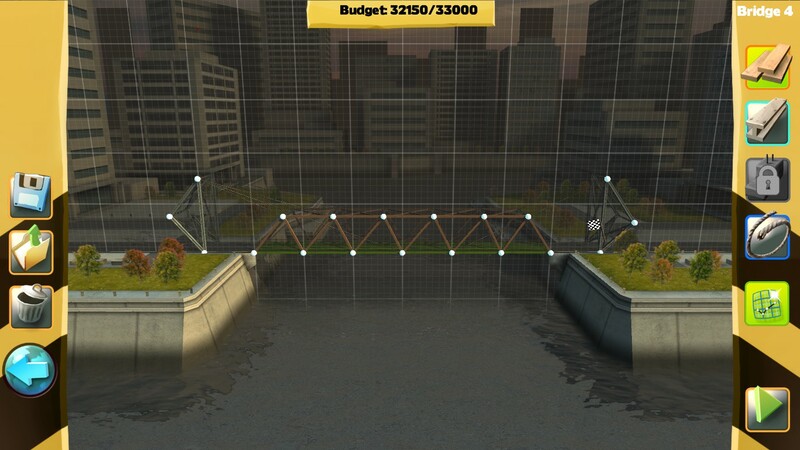 Bridge Constructor also happens to be on sale for PC this week, with a 33% off discount ($6.69 USD). This entry was posted in Uncategorized and tagged Android, Bible, Bridge Constructor, bridge-building games, christian, christian gaming, christian review, christianity, educational, excellent, family-friendly, funny, gaming, God, Headup Games, indie, iOS, Jesus, KJV, paid, PC, physics, puzzles, review, salvation, unexpected humor, video game, video games, video games and the Bible, Video Games and the Bible Highlights, Video Games and the Bible Reviews, videogames. Bookmark the permalink.